Passports can be a huge hassle -- the paperwork, the money, the photo requirements, it all makes for plenty of hoops to jump through. But they're a necessary evil if you've got any interest in seeing the world outside of Googling a bunch of pics of the world. To find out more, we spoke with passport know-it-alls at Allied Passport and Visa, the Department of Homeland Security, and the State Department. Here are some little-known factoids you probably didn't know about that little blue book you keep in your dresser. According to the Department of State, there are 121,512,341 passports in circulation for the 321,362,789 American citizens out there. Simple division says that's only 0.37811577805 of all Americans. So chances are, half your neighbors have never even seen the glory that is Canada. OK, maybe they saw Saskatchewan before you needed a passport. But they're definitely missing out. 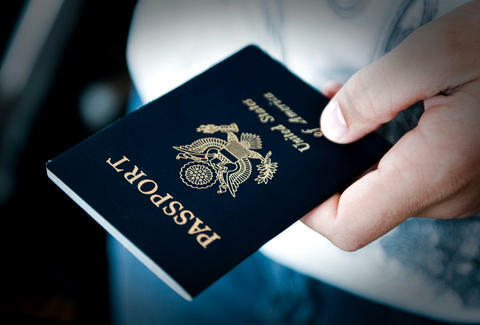 American passports grant their holders access to a whopping 147 countries, according to Passport Index, tying it with the United Kingdom's passport as the strongest in the world. 'Murica. And... 'Ritain? No, a Brooklyn-style beard or cutting or dying your hair aren't big enough changes to require a new passport. 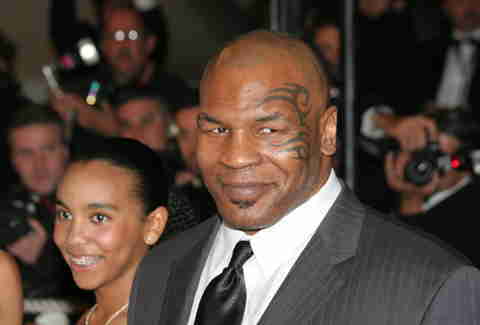 But if you go all Mike Tyson and get facial ink, lose a ton of weigh like Jared from Subway, or undergo facial surgery, you'll probably have to get a new passport. Just like a lot of bars, passports won't let you wear a uniform -- not even a throwback Natrone Means jersey -- in your photo. Unless it's for religious purposes and you wear it every day. Which, more people should bow at the altar of the 1994 All Pro San Diego Charger. Oh, and hats and headdresses are banned, too, even if you're Pharrell. First time anyone's probably ever said that. As long as they're prescription specs you wear daily and there's no reflection in your photo. You can even wear tinted sunglasses if you have a medical prescription to back it up. Maybe even rec specs, like Kurt Rambis. When e-passports were introduced in 2007, the State Dept. took the opportunity to give the ol' blue book a makeover. Developed by a committee of six people, the design overhaul -- which took nearly six years -- resulted in a patriotic ode to everything US of A, from a star-spangled banner and a bald eagle, to Mount Rushmore and the moon. Because we were there first, after all. You'll find all of 'em festooned on your passport pages. The theme even has its own name: "American Icon." 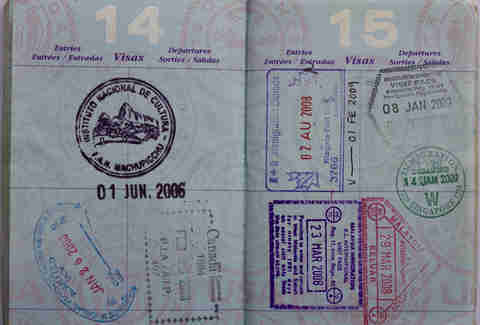 Since 2007, every passport issued by the State Dept. comes with a chip embedded above the moon on the last page that stores all of the holder's information. And according to the State Dept., your personal info can't be nabbed or altered from the chip, as details are kept safe by protective software called Public Key Infrastructure (PKI). In 2016, the chip will be sealed in polycarbonate paper which will prevent the chip from breaking. It'll also help your passport withstand water damage and bending. 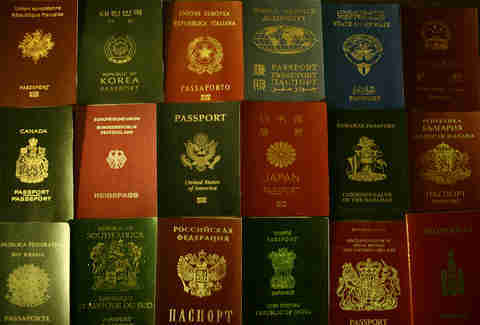 Not having a passport doesn't mean that you can't travel abroad. 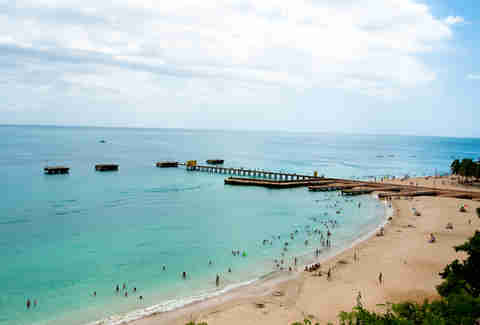 US citizens can venture freely overseas to the Northern Marina Islands, Puerto Rico, the US Virgin Islands, Guam, and American Samoa, all without that little blue book. Cuba's bright pink stamp will certainly raise red flags at Customs and Immigration for you. So you'll have to explain that one. But visiting Israel can preclude you from visiting other nations in the Middle East, including Lebanon and Saudi Arabia. Even though the country stamps a separate slip of paper outside your passport, any sign you've been in Israel can prevent you from visiting certain Arab nations, though Israeli neighbors Jordan and Egypt will let you pass. 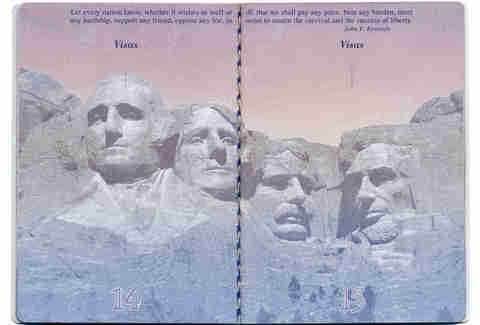 As of Dec. 31, 2015, the State Department will eliminate additional passport page requests. If you need more space, you'll have to renew your passport altogether. To make up for the inconvenience, the State Dept. will start issuing its bigger books, made of 52 pages, as the standard passport size from here on out. Like anything else in the US, you can throw money at your problems. The State Dept. doesn't like it, but you can speed up the administrative process and get your passport expedited in three weeks for a $60 fee. Bear in mind, though, if it's your first passport, or your last one was stolen/lost, you'll need to apply in person and fill out a form (more details here). Additionally, if you've got a life-or-death matter abroad, you can get one faster by going to a passport agency in person with proof of your dire situation. Frequent travelers know this little trick. Since some countries require a visa for travel, and that can take weeks, what do you do when you're already abroad and need a visa for a different nation? Get a second passport, of course. 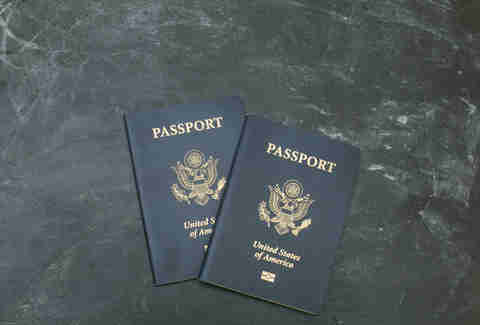 To get a second passport, send a letter to the State Dept. to explain why you need one. It's not just a formality; you'll need a legitimate reason. They won't grant you an extra passport just so you can pull off Mark Sanford "business trips" (read: going to Argentina to see your mistress), leaving your blank passport on the dresser at home. But if you've got a legit reason, you can get a legit second set of documents. ​Sure, your passport's valid for 10 years. But some countries -- looking at you, European Union -- won't accept a valid US passport if it's less than six months away from its expiration date. To make sure you don't get stuck overseas, experts recommend getting a new passport every nine years instead. What a racket.